Experienced realtors, builders, and developers know the housing market is seasonal. The home-buying seasons vary somewhat from place to place depending on the climate and local circumstances, but nationwide, as a general principle, people buying a home are disproportionately likely to make that purchase in the spring, with higher demand bringing higher prices. There can be a number of reasons why. For example, people may hesitate to search for new homes for sale or face the hassle of moving in cold weather. Parents may not want to move when children are in the middle of a school year. But whatever’s factoring into an individual’s decision making as he or she considers buying a house, the spring market is as important to yearly home sales as the months running up to Christmas are to a department store’s annual bottom line, and those in the industry are naturally interested in predicting how strong or weak it’s going to be. If you’re an individual considering selling or buying a home, you have reason to be interested, too. So, knowing that predicting the future is always a chancy business, let’s look at the factors likely to influence the housing market over the course of the next few months. Until 2018, home buying was on a steady increase for several years (2010 to 2017.) They went from 4.2 million to 5.5 million for existing home sales. The purchases of new homes for sale went from 320,000 to 620,000. In most markets, home prices hit an all-time high in 2018, and this very much worked to the benefit of homeowners. Their combined net worth rose by 1 trillion dollars, meaning that of the average homeowner was $254,000. The net worth of the average renter was only around $5000. Home buying didn’t increase through the middle of 2018, but it held steady. In the final months, though, home sales fell off dramatically with a 10% decrease in December compared to December 2017. Houses stayed on the market for 46 days on average compared to just 30 days the year before. Inventory increased for seven straight months after 40, and home price appreciation got cut in half to just 3%. None of this looked good, and consumer confidence about home buying weakened. One survey found that only 34% of responders polled in the third quarter of 2018 felt that it was a good time for buying a house as opposed to 47% early the preceding year. The increase fueled by inadequate inventory and new house construction, in 2018, home prices rose fast. Eventually the median price reached $259,300 in 2018, up from $166,100 in 2011. That’s a 56% in crease, and wages rose only 18% during the same period. As a result, many a middle-income family may have felt buying a home was beyond their means. Meanwhile, after holding interest rates low and steady for a number of years, the Federal Reserve increased them. Interest rates determine mortgage rates, and as a result, the latter rose above 5% for the first time in ten years and added to the real price of home buying. At the time, the Fed made certain pronouncements that interest rates would climb still further, perhaps through two or three more hikes, in 2019. One might well have predicted from this that the slump in home buying would continue through the spring of 2019 and onward, resulting in lower home prices and houses remaining unsold for a longer time. Yet there are indications that home sales will actually turn around. 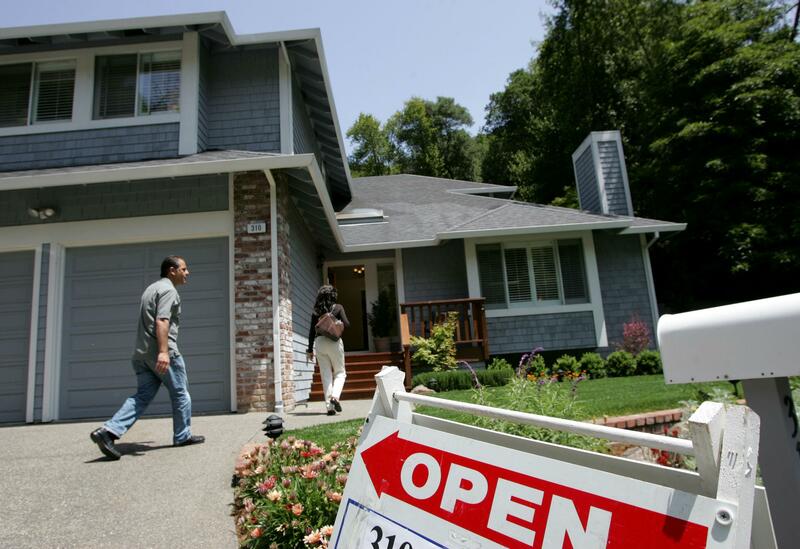 There’s evidence that consumer confidence as related to home buying is coming back. The overall consumer confidence index hit 131 in February. That’s a little better than a year ago and well above the national 50-year average of 93. Looking at housing specifically, the number of people applying for mortgages is up compared to a year ago, and the number of contract signings to buy increased 4.6% in January. Additionally, there were more instances of realtors opening lockboxes. In January and February, the number of openings was up from the second half of 2018. Realtors open a lockbox when they’re going to show a house, so that this means that more potential homebuyers were looking. Meanwhile, a tight job market is boosting income. The most recent wage gain is 3.4%, which is the biggest in ten years and also means increases in income are finally outpacing increases in home prices. This seems likely to increase interest in home buying. Finally, as mentioned above, the Federal Reserve had led Americans to expect more interest rates increases and thus mortgage rate increases in 2019. More recently, though, the Fed declared that it intends to be “patient” this year, which is generally understood to mean it won’t raise rates any further. As a result, the price of a 30-year fixed mortgage fell to under 4.5%, meaning that the average homebuyer who took advantage of the rate would save nearly $100 a month versus the previous rate. This too has the effect of making home buying more affordable, both in absolute terms and in a potential homebuyer’s perception. All this considered, it’s more than reasonable to assume home buying will be strong in spring 2019.